Role-playing games like Dungeons & Dragons (D&D) often use polyhedral dice to determine the many factors involved in role play and scoring. 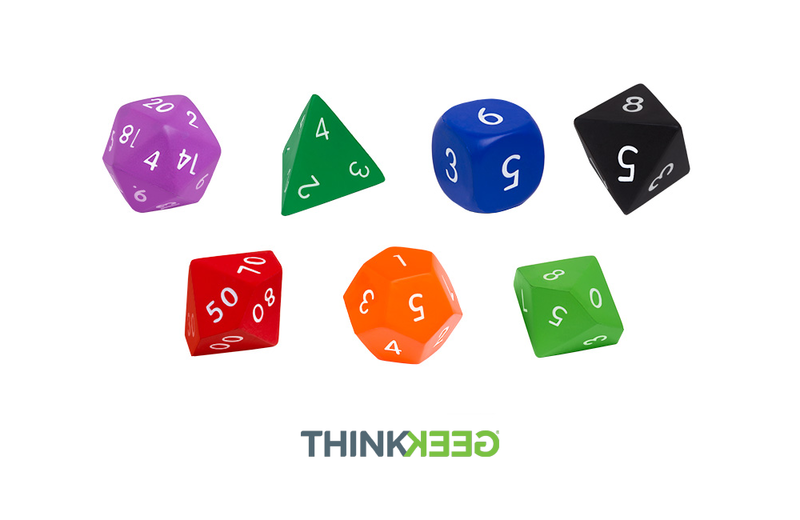 ThinkGeek has released a Squishy 7 Piece Polyhedral Dice Set that brings the creativity and camaraderie of D&D to kids age 3 and up. The set is constructed entirely of foam and includes d4, d6, d8, d10, d20, and percentile (d10) dice – everything you (or your children) need to participate in an extended campaign. The die are large enough to prevent any choking hazard, yet also fit into the palm of an adult hand. So, they’re perfectly safe to toss at your cranky Dungeon Master in a fit of rage for inexplicably deciding that your merry band of adventurers just came down with an incurable case of scurvy. The nerve! Keeping track of the date just got a whole lot more interactive with the latest release of the Iconic Brick Calendar from LEGO.